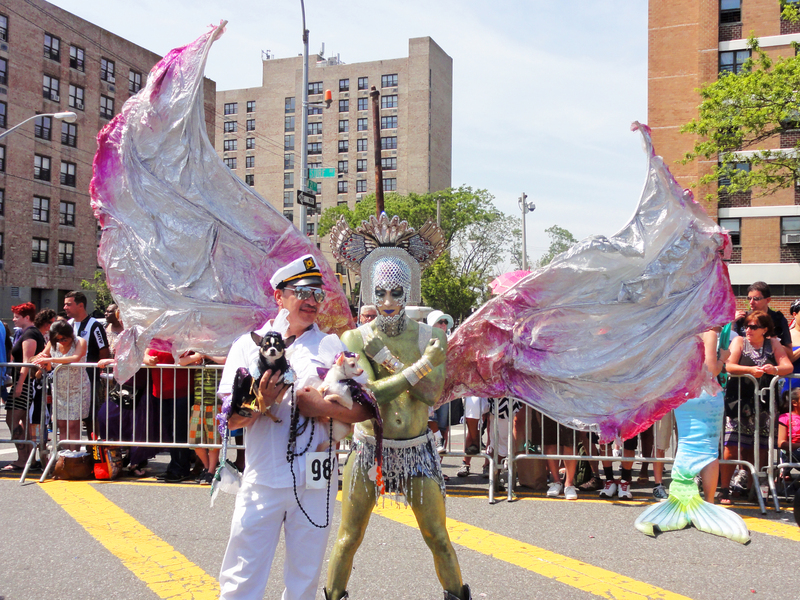 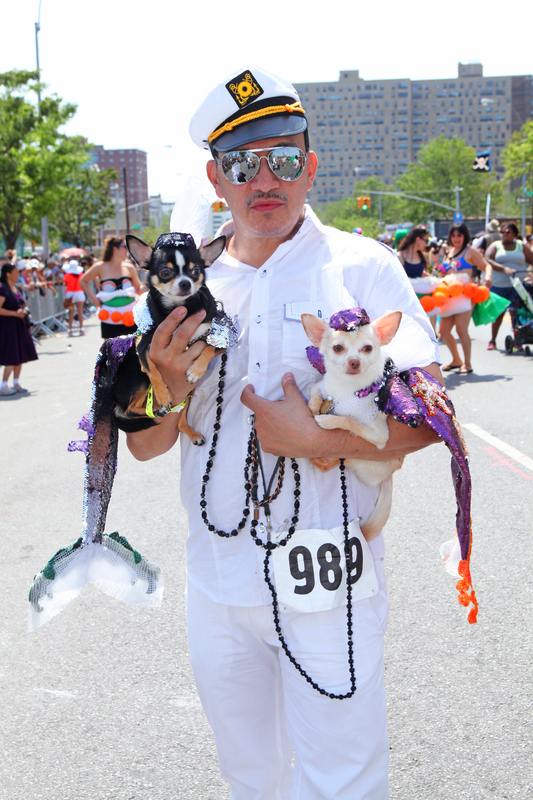 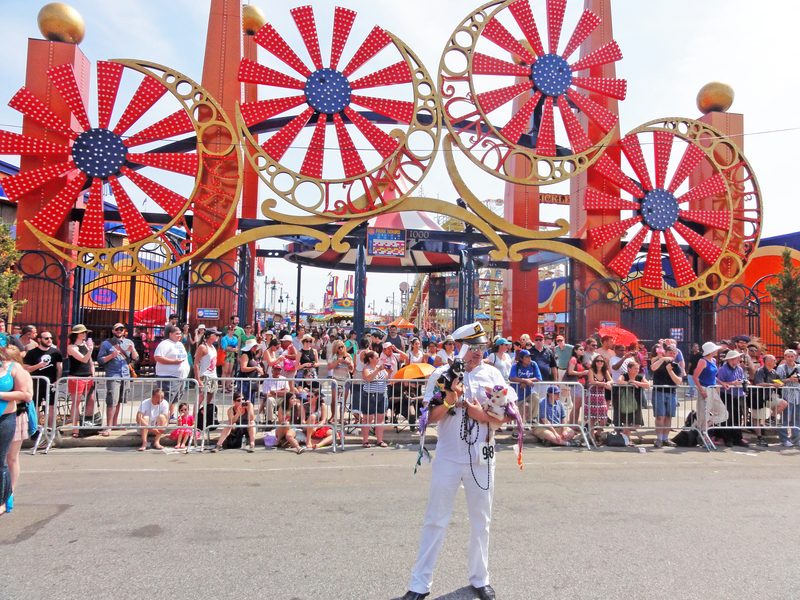 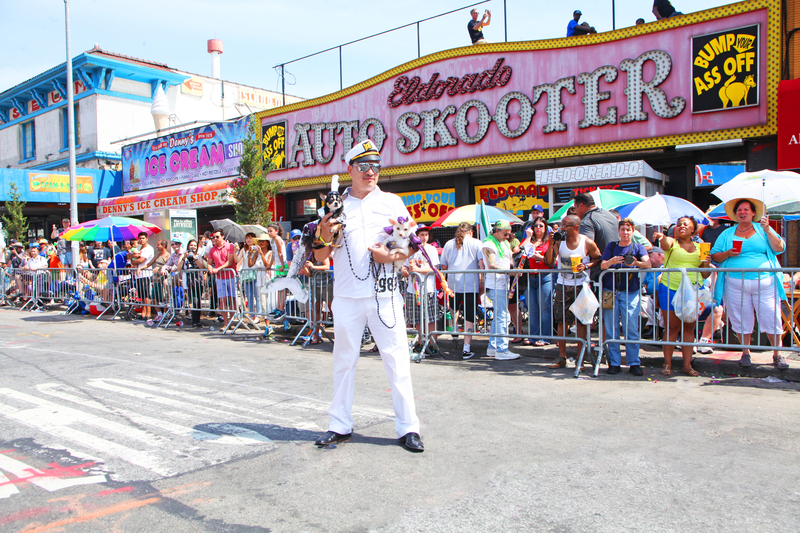 Exciting day participating in the historical 2013 Coney Island Mermaid Parade. 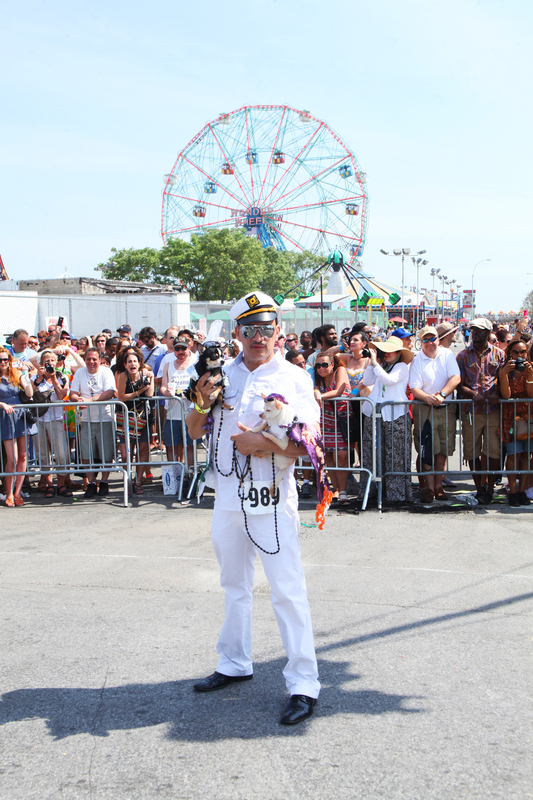 Captain Anthony Rubio and his sea dogs Bogie and Kimba at full attention. 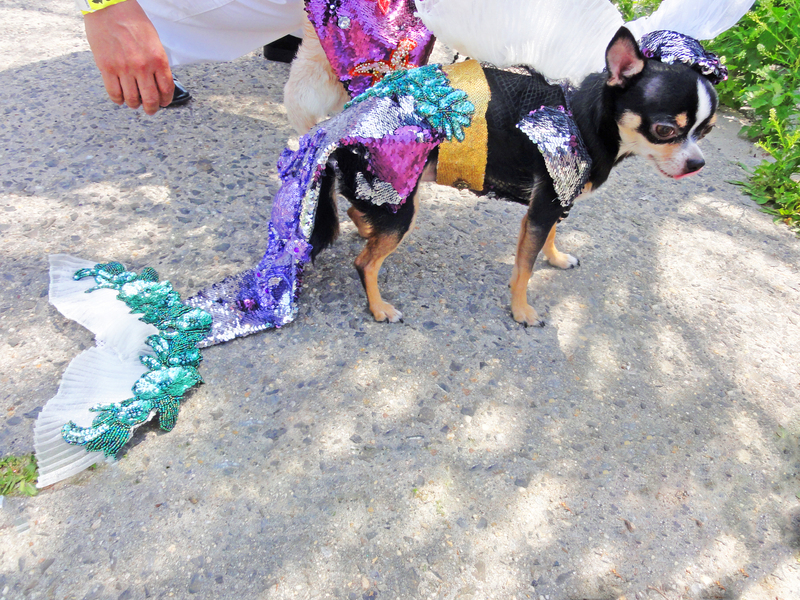 Their outfits were designed by Anthony Rubio or Bandit Rubio Designs.